Show your intelligence and become genius in the midst of your friends with this game which is enshrined with arithmetic tricks. This game sets an aim for you in which you have to form prime numbers with the help of cards before your challenger. You will find two categories of total 60 cards in this game named as Operation and composite cards. You have to complete the target by using only these cards. Isn’t this interesting? For sure, players will gather more challenging experiences through this game. On beginning of this game seven cards are offered to each player and remaining cards are kept on left side of table as stock pile. From stock pile, uppermost card will be drawn and place on table. In this game a timer is placed on right to indicate lasting time of each move and scoreboard of player is on left which represents the continuous performance of player. Now player will start his turn based upon drawn card from stock pile and again draw one more card from stock pile. If the drawn card is operation card; he must play a composite card and vice versa. If he is not able to play his card, he needs to discard one card and the turn will go to his opponent. The sum of cards present in table will be shown on bracket on peak of those cards. A player wins who plays a card which makes prime number with those cards on table. After that he ends his turn by picking up one more card from stock and one from hand. The score of winner after one turn will be equivalent to the value of prime number. Also before winner ends up his turn, the card that made prime number must be removed. This is free and compact game earns a score of three and half rating points for its engaging logic and the amount of challenge it can offer to its players. Gather the brainy ones and play the arithmetic tricks! Your goal in the game is to make use of the cards to form prime numbers before your opponent does. The game uses 60 cards, which are divided into two categories, namely composite cards and operation cards. The following shows these cards with their quantities stated in the brackets: composite cards are 4 (x10), 8 (x4), 10 (x4), 20 (x2), 25 (x2), 26 (x2), and the operation cards are -2 (x12), +1 (x12), and +7 (x12). When the game starts, 7 cards are dealt to each player. The remaining downturned cards serve as the stock pile on the left of the table, while the topmost card on the stock pile will be upturned and placed on the table. Each player has a scoreboard on their left side, while a timer is placed on the right of the scoreboard to indicate the remaining time for each move. Based on the upturned card, the first player begins his turn by drawing a card from the stock pile and plays a card from his hand. If the upturned card is a composite card, the player must play an operation card; otherwise he must play a composite card. 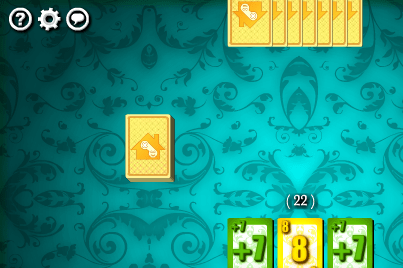 The player needs to discard a card if he cannot play any card and the turn will be passed to the player on his left. The current sum of the cards on the table is shown in the bracket on top of those cards. If a player plays a card that forms a prime number with the cards on the table, he wins the trick and scores points same as the value of the prime number. The cards that form the prime number will be removed from the table, and the player who wins the trick starts the next turn by placing any card from his hand onto the table, then draws a card from the stock pile and ends his turn. Take a role of a fisherman in the game "Crazy Fishing Multiplayer ".